In the face of this onslaught from online retail, is the traditional brick & mortar store doomed to disappear? In what ways can it adapt in order to reignite the appeal of the in-store experience and meet consumers’ new expectations? With the digitization and multiplication of devices in our society, consumers are looking for a smooth and fast customer experience. Online retailers and applications have caught on to this, offering high-performance services: delivery within 1 hour with Amazon’s Prime Now or with Carrefour for those living in Paris, possibility of being delivered ‘anything anywhere’ with Clac Des Doigts. Even administrative services are turning to digital: since 6 November, driving licences and vehicle registration certificates can be ordered online and delivered directly through our letter box. It is now perfectly possible to do all our shopping without setting foot outside our door! 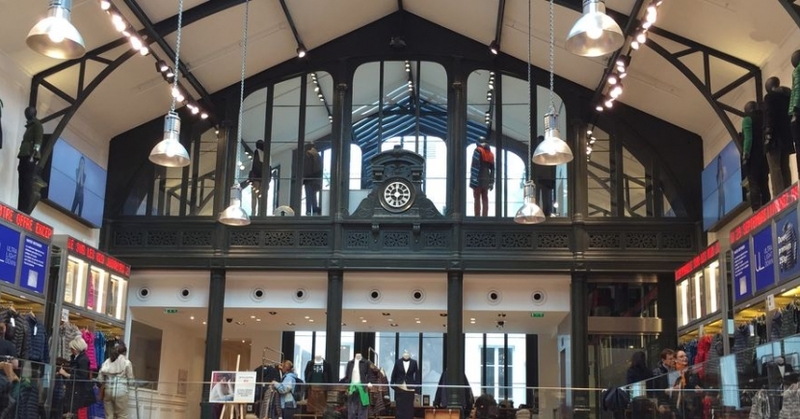 In 2015, France had 340 000 retail outlets achieving sales of 1.1 million euros according to INSEE. Stores boast a major advantage against which online is unable to compete: the sensory dimension. Consumers like to be able to see, touch, test and smell a product, it is an important part of the buying experience and cannot be replaced by data! Although augmented reality or virtual reality may enable consumers to visualise how a product will look in their home, for some types of purchases such as furniture suites (kitchen, lounge, bedroom), French people still believe they can get a better idea by viewing the actual product in store. The sensory dimension, which only the store can offer, reflects a more global trend within society: a return to basics. Customers want to be seen as human, not just an IP address, they want a useful buying experience, one which takes into account their needs (thanks to data) and which offers real added value, particularly in terms of service. By adopting digital, stores are rehumanising the purchase: CRM can be used to make personalised offers, sales staff equipped with tablets guide the customer, click & collect reconciles on- and off-line, in short, stores have all the tools they need within grasp. Proof of the physical store’s return to favour lies in the fact that 57% of French people and 70% of 18 to 24-year-olds want pure players such as Amazon (which has bought the Whole Foods supermarket chain), VentePrivée and AMPM La Redoute (the brand’s interiors branch) to open physical stores*. The aim? To create a connection and above all, to create its own universe with a strong brand identity. These visual, sound and experiential characteristics are a brand’s DNA and the reason why a consumer is attached to it. Some are even taking this approach in the opposite direction: this is the case for Chanel which recently dismissed the idea of moving into online sales so as not to damage its brand image. The development of pop-up stores illustrates this trend for a return to brick & mortar. Gibli, for example, recently opened one for a few weeks in Paris: fans took the opportunity of this rare event to immerse themselves in the Miyazaki universe and discover unique spin-off merchandise. Nature & Découvertes have also latched on and is further reinforcing its health and wellbeing image with atmospheric tea-tasting areas. Birchbox opted for a step-by-step approach: starting with a pop-up store in 2014, the pure player opened a permanent store on Rue Montmartre in April 2017 and has since welcomed hordes of customers through its doors. A store can assert its own universe with the creation of community activities, as illustrated by the Lululemon stores which hold yoga classes to attract amateur athletes. Communities enjoy coming together in these universes with a very strong identity: an example can be seen with the success of the forum created by Leroy Merlin on which DIY enthusiasts share tips and advice! More than a place of purchase, the store is becoming a place for living and experiencing. This is felt particularly strongly among 18 to 24-year-olds: 60% of this age group want stores where they can do more than just buy products*. Nike, for example, has sports courts in its stores, while Samsung designs its stores like a theme park, offering customers various attractions and experiences. Shopping centres are also seizing on the phenomenon, providing lounge areas where shoppers can relax, play areas for children and solutions for charging devices. It is finally possible to feel at home while shopping! Another area where stores need to improve and where digital can offer numerous solutions is the reduction of friction points. Indeed, a bad in-store experience can be fatal for a brand. One of the priorities has to be tackling checkout queues, a common annoyance for consumers. To improve this, Monoprix is currently trialling Monop Easy, Amazon and Alibaba are testing checkout-free stores, and mobile payments are becoming more and more prevalent. The ultimate aim is to enable consumers to pay for their purchases in as short a time as possible. New technologies enable stores to go even further in the services they offer: ordering items which are unavailable or out of stock at Célio, a virtual assistant to choose clothes according to your tastes at Uniqlo…An array of services which establish the connection between the store and digital! The store is very much alive and kicking and predictions of its demise are premature. The challenge is no longer knowing how to make on- and off-line coexist but how to get them to fuse together as this is the key to moving from a simple purchasing act to an experience which slots smoothly into consumers’ daily lives. Download the expert insight "2018: the comeback of brick & mortar"